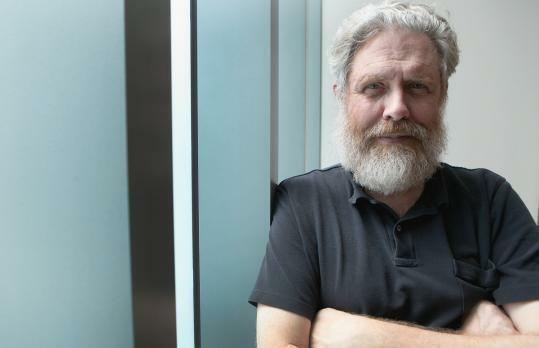 George Church, a genetics professor at Harvard Medical School. It is a fascinating quirk of nature: Simple bacteria have an immune system with a memory, which allows them to destroy invading viruses they have encountered in the past. The phenomenon is more than just a scientific curiosity. In just two years, scientists have discovered how to repurpose the simple virus-shredding technique used by bacteria in more complicated creatures, a feat that is now revolutionizing research across the Boston area and beyond. Using the procedure, which allows them to slice the genome with great precision — to edit it, in effect — scientists can cut and paste DNA synthesized in the laboratory to create animal versions of human cancers or blood cells resistant to HIV. Local researchers have founded two companies aimed at turning the technique into a therapy to fix errant genes that cause a range of illnesses. Meanwhile, almost every week the method seems to be used for a new purpose: MIT researchers have used it to rapidly engineer mice with liver tumors; Harvard researchers have used it to disrupt genes and lower cholesterol levels in mice; and Children’s Hospital Boston scientists have, using human stem cells, corrected gene mutations that cause a rare blood disorder. The technique, called CRISPR — short for “clustered regularly interspaced short palindromic repeats” — was developed in 2012 by scientists in California and in Europe who already are considered shoo-ins for a Nobel Prize. But the rapid progress and wide adoption of the technology have depended critically on the work of local leaders, who have pushed the process forward by proving that it worked in cells of all types, ranging from zebrafish embryos to mouse and human cells. For several decades, biologists have known about spotsin the DNA of bacteria where short sequences repeat that seemed to serve no purpose. During the past decade, it became clear that this assemblage of genetic junk was actually useful, providing a simple way for bacteria to remember and slash an invading virus with molecular scissors. Jennifer Doudna of the University of California Berkeley and Emmanuelle Charpentier, who now works at the Helmholtz Centre for Infection Research in Germany, worked to show the technology could be customized to snip DNA strands at specific spots in a laboratory dish. “When I first saw that paper, my thought was: If this works, it will really change the game again,” said Dr. J. Keith Joung, associate chief of pathology for research at Massachusetts General Hospital. The question he and others had was whether it would work outside of bacteria. Within months, Church and Feng Zhang at the Broad Institute had begun to show the power of the technique, using it to cut genes in mouse and human cells. Joung showed that it could work in a living organism, engineering the genomes of zebrafish embryos. A Cambridge-based company, Editas Medicine, was founded to work toward developing a therapy based on gene-editing. Local scientists also helped found a company called CRISPR Therapeutics with similar aims. Meanwhile, academic scientists in a wide range of fields have adopted the simple-to-use technique, each using it in service of their own interests. Cancer researchers, for example, have found that the tool can be used to rapidly create animals with multiple mutations that drive cancers, which might have taken months or years to engineer using older techniques. “The method is so powerful that virtually every project in my lab is now using this technique,” said Tyler Jacks, director of the Koch Institute for Integrative Cancer Research at the Massachusetts Institute of Technology. At the Harvard Stem Cell Institute, scientists working on blood stem cells showed earlier this month that it was possible to edit blood-forming stem cells. They were able to delete a gene called CCR5 that the HIV virus needs to infect blood cells. Derrick Rossi, an associate professor of stem cell and regenerative biology at Harvard who co-led the blood stem cell work, said that previous gene-editing techniques had not seemed versatile or efficient enough to have significant potential for human patients. “Data with those technologies never suggested to me it was going to be able to reach the type of efficacy that would be clinically translatable, and that’s actually why I got so excited and that’s what drew me to CRISPR,” Rossi said. Daniel Anderson,a professor of applied biology at MIT’s Koch Institute, showed earlier this year that CRISPR could be used to correct a genetic liver disease in a mouse. That is an early demonstration of CRISPR’s potential to treat diseases caused by genetic mutations. “Lots of things like that weren’t possible before now are doable,” said Craig Mello, a UMass Medical School biologist and Nobel laureate. Mello sees the technology’s power to transform medicine and to solve some of science’s most enduring mysteries.